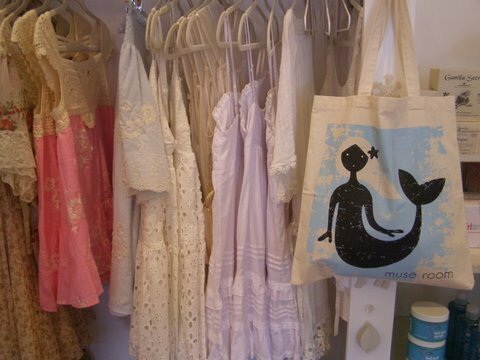 I was just sort of scouting around Kailua the other day and discovered an adorable little shop called Muse Room. The vibe is ultra-feminine and quite original. It actually feels to me a little like a boutique in Le Marais, my favorite Paris shopping neighborhood. 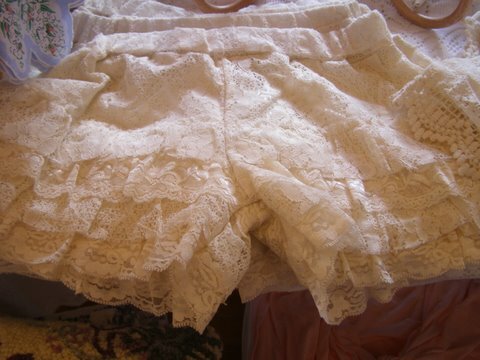 There’s a lovely rack of vintage clothing dominated by lacey looks. There is also a Muse line that’s all about lace, including a layered lace tap pant ($29) that’s utterly charming. 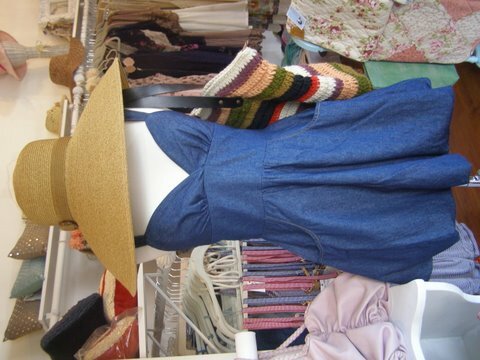 The Muse dresses are reasonable, around $60, and really cute, although perhaps a bit short. A tall blonde was trying them on while I was there and she loved them but they were too short on her. If you’re petite, no problem. The Muse line of denim, feminine and reasonable at $63. There is also a line of embroidered lingerie that would be perfect for a bridal shower gift. Or for a baby shower, there’s Noodle & Boo. 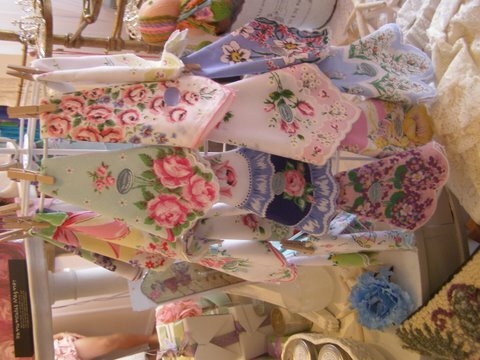 When’s the last time you saw a rack of printed floral hankies – the ultimate girly gift at $7.50? I also loved the bow-embellished fabric handbags, especially the silk tweed and satin styles ($230). Yes, the prices are all over the map, offering a nice high-low mix. Punky Pals by a Kaimuki artisan, $41. 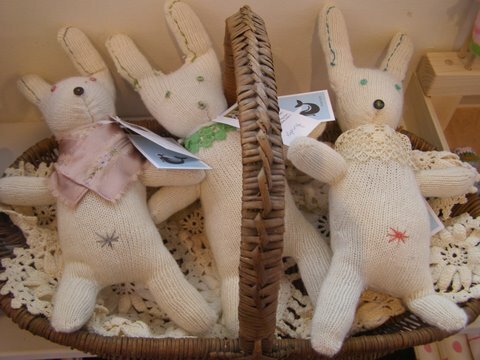 Another unusual gift: Punky Pals ($41), little stuffed animals with lavender innerds made by a woman in Kaimuki who apparently wants to remain anonymous. Muse Room is appropriately located across the street from A Cup of Tea. The two venues totally suit one another. Together, they add up to a lovely girly afternoon, or perhaps a mother-daughter outing. Muse Room: 332 Uluniu Street, Kailua, phone: 261-0202. Paula, Just posted this link on Twitter where many of the people whom I follow are interested in French art and design.